Comparing Fractions 1 Standard Basic proper, like or simple unlike denominators. Compare two fractions using >, < or =. 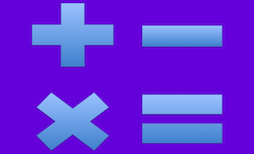 Comparing Fractions 2 Standard Basic, all proper or improper, most with like numerators or denominators. Compare two fractions using >, < or =. Students should be able to compare without computation. Comparing Fractions with Visual Standard Students will write the simplified fraction that represents each shape and then use correct comparison symbol for each. Ordering Fractions Standard All proper or improper fractions, unlike denominators. Mostly ordering 3 fractions. Ordering Fractions 2 Standard All proper or improper, unlike denominators. Ordering sets of 3 or 4 fractions though last set has six fractions. Adding Like Denominators Riddle Add like denominators. Adding Like Denominators 2 Maze NEW! Add like denominators. Adding Unlike Denominators Riddle Add unlike denominators. Adding Unlike Denominators 2 Pyramid NEW! Add unlike denominators. Subtracting Like Denominators Riddle Like denominators. Some regrouping required. Subtracting Mixed From Whole Numbers Riddle 15 problems. Subtracting Unlike Denominators 1 Riddle Unlike denominators. No regrouping required. Subtracting Unlike Denominators 2 Riddle Unlike denominators. Regrouping required. Subtracting Unlike Denominators 3 Standard Students will use fraction subtraction to find the length of one of the sides of an irregular shape. Regrouping required. Add and Subtract Like Denominators Riddle All like denominators. No regrouping required. Add and Subtract Like Denominators 2 Riddle All like denominators. Regrouping required. Add and Subtract Unlike Denominators Riddle Mostly unlike denominators. No regrouping required. Add and Subtract Unlike Denominators 2 Riddle Unlike denominators. Regrouping required. Add and Subtract Word Problems Standard 12 problems. Add and Subtract Word Problems 2 Standard 12 problems. Add and Subtract Unlike Denominators Riddle 12 problems. Adding Like Denominators Riddle 16 problems. Adding Unlike Denominators Riddle 18 problems. Subtracting Like Denominators Riddle 16 problems. Subtracting Unlike Denominators Riddle One Proper-Mixed. 12 problems. Subtracting Unlike Denominators 2 Riddle 15 problems. Dividing 1 Riddle 19 problems. Dividing 2 Riddle 20 problems. Multiplying 1 Riddle 18 problems. Multiplying 2 Riddle 18 problems. Word Problems Standard 12 problems. Mostly multiplying, 2 dividing. Word Problems 2 Standard Problems equally split between multiplication and division, though last problem required subtraction also. Dividing 1 Riddle 16 problems. Some ints. Dividing 2 Riddle 16 problems. Multiplying 1 Riddle Int*mixed or Int*proper. 16 problems. Multiplying 2 Riddle Mixed*mixed or Mixed*proper. 16 problems. Adding Like Denominators 1 Quotes 20 problems. Adding Unlike Denominators 1 Riddle 15 problems, easy denominators. Subtract Unlike Denominators 1 Riddle 12 problems, easy denominators. Adding Like Denominators 2 Riddle 18 problems. Adding Unlike Denominators 2 Riddle 20 problems, easy denominators. Division 1 Riddle 20 problems. Multiplication 1 Riddle 20 problems. Division 2 Riddle 20 problems. Multiplication 2 Riddle Mostly single digit fractions. Simplifying 1 Stained Glass Goldfish stained glass. Simplify proper fractions. Simplifying 2 Stained Glass Dolphin. Simplify proper fractions.